The annual sports day is coming up soon. Our students are getting ready for that day. Every morning, every lunch and every day after school, classes are practising for the various activities that will be held at the event. 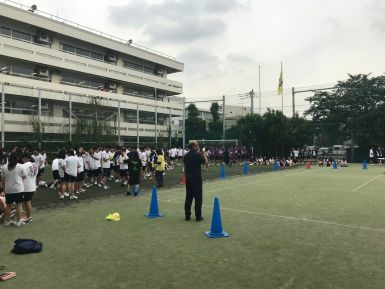 Many countries have a sports day at school but sports day in Japan is kind of special. They really know how to enjoy the event. Take a minute and check out our videos on this page here:[ http://www.seiritsu.ac.jp/category/tv ] to get an idea of what the sports day in Japan can be like.